With Glasgow as the home of the Sir Chris Hoy velodrome, and the European Championships Road Races going straight past our front door, LEAP Sports is going a bit cycle-tastic in the next 2 weeks. Come and get your bike fixed or learn how to do it yourself. And once it's fixed, come on a tour of Glasgow. Or if you're just looking for somewhere to watch the Road Race, come and join us in Pride House. What’s wrong with your bike? Flat tyre? Stiff brakes? You’re-not-sure-what-but-it-makes-scary-noises-when-you-pedal? 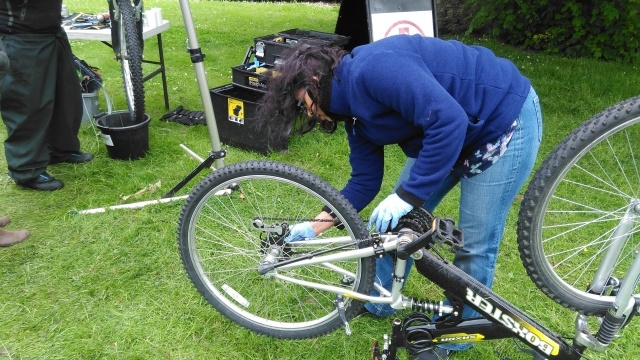 Recyke-a-Bike will have a mechanic at Pride House with a stand and tools to help you get your bike fixed up. If you’re bike’s okay but you have some questions about how to maintain and repair it, bring it in and we’ll answer your queries, as well as provide demonstrations on how to fix flat tyres, adjust gears, and keep brakes in safe working order. Want to get around and see some of the highlights of Glasgow? 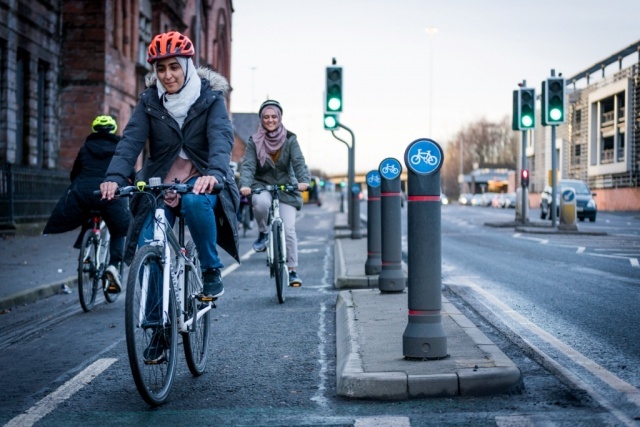 Cycling UK will be taking us on a tour of Glasgow designed to be for those who are first timers or who don’t have lots of cycling experience. Bring your bike or hire one for the event. Speak to the Pride House team if you need advice on bike hire. What’s the cycling community like if you’re LGBTQI+? Sometimes these spaces can feel overwhelmingly male and straight, and yet there’s also a rich seam of cycling participation and identity in the LGBTQI+ community. This will be a relatively informal workshop and discussion talking about how the cycling community can become more welcoming, and the impact that homophobia, biphobia and transphobia can have on our confidence, whether it’s how to ride a bike or how to wield a spanner. Written on 2nd August 2018.